This state-of-the-art Advanced H2O, MicroStructured Water Ionizer model PJ-A3AH is made by the parent company of the Panasonic Corporation. We love the small foot print of this unit and the high quality of alkaline water it produces. 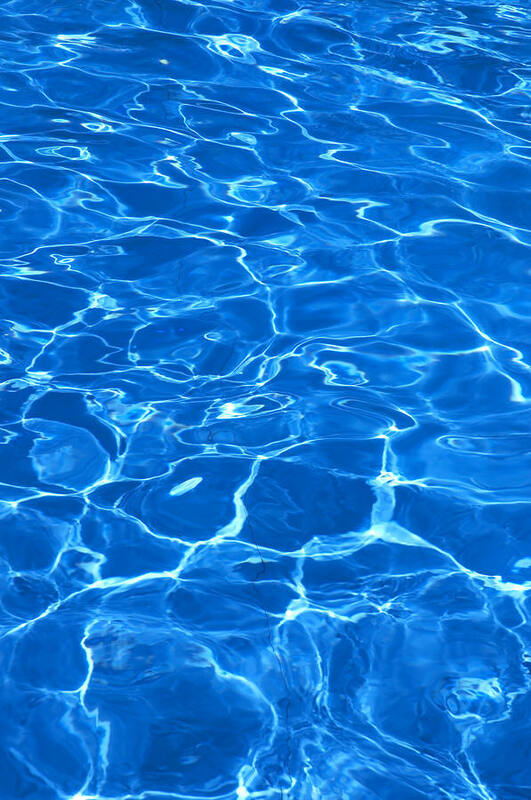 It provides five selections including acid water, purified tap water, and three levels of alkaline water. The advanced micro-filtration technology employed in the cartridge filter consists of 4 different components and stages: (1) Non-woven cloth filter, (2) Granular activated carbon, (3) Powdered activated carbon and thousands of (4) Hollow high-tech fibers with many precise holes on the surface. The synergistic effect of this four-process filtration allows for 99.99% of bacteria and cysts to be removed while leaving the necessary minerals in the water. Folks this baby is built to last. See the detailed product specification for further details. 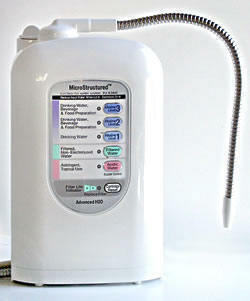 We highly recommend the MicroStructured water ionizer. Before you place your with any other site please call and ask if they have any in stock. This ionizer is no longer available. Although you won't use it we should also mention that this unit also comes with two years warranty. We have never seen or heard of this unit being returned for any manufacturing defect. 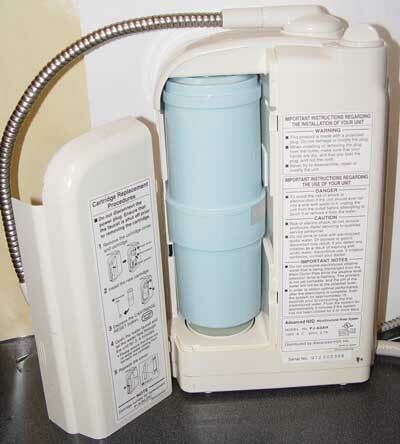 Enjoy years of use with this versatile and durable water ionizer. Continue for details on the product specification of this unit. Dimensions: - W 6.8", D 3.9", H 11.6"
Product Delivery: Stainless Steel Tube. Made in Japan and built to last.